New Applications introduce students to the world of apps/ applications which is rapidly evolving. The launch of the Apple II in 1977, followed by the PC by IBM and numerous compatible computers a mere 4 years later created a strong demand among consumers for software programs, as the applications were referred to during this time. Computer programs were at first sold in specialty stores, via mail or at college bookstores, and had the capacity to format spreadsheets, compose and proof hundreds of text lines, and support classroom instruction. The explosive Internet growth that followed at the commencement of the 21st century with the introduction of high-speed networking, the dynamic World Wide Web, and more recently the development of affordable web tablets and smartphones all contributed to cultural, societal and global change. The course commences with a historical tour of the World Wide Web and Internet along with applications and programs that made it possible for computer users all around the world to begin exploring and better understanding their world. Thereafter, a step-by-step introduction to WordPress enables students to gain the insight and tools necessary for creating their own web pages and discover their online voice. 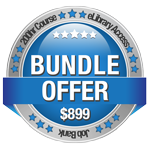 Along with learning how to use WordPress and other applications promoting the presence of students on the World Wide Web, the course explains how the web has transformed into the foremost channel for distributing applications that increase web functionality and support a global hub of communication and social networking. Students are introduced to the evolution of data transfer and networking capabilities, commencing with early HTTP protocols and proceeding to the recent introduction of smartphones that are capable of connecting to World Wide Web sites without having to navigate via a browser. The course is concluded with a survey of the ongoing explosion of new apps/ applications, designed to operate on one or more of the proprietary mobile devices (tablet, smartphone or netbook). Students are provided an opportunity of tracking basic changes in this growth industry as development moves from the original model of a single experienced programmer who develops a single app for distribution at little or no cost to a model in which retailers, government agencies, nonprofit organizations and Fortune 500 companies contract with midsized communications and marketing firms for the development of sophisticated apps designed to raise global public and market awareness of issues and institutions. In addition, students have the opportunity of understanding that career opportunities in app development have evolved from coding and programming to now include public relations, marketing, creative arts, product and project management and sales, with an increasing number of industry careers requiring little if any actual experience in programming. New Applications is a survey course which travels from the initial software programs developed to facilitate Internet communication to a new generation of native and mobile apps that access the Internet without relying on a web browser. New Applications is also a practical course on developing a World Wide Web presence using WordPress and other web-application tools that are available. The aim of this course is to provide the student with insights into the rapidly evolving universe of application development and programming, such that they can make an informed career decision in the fast changing and growing industry. Describe key advances in communications and network technology, beginning with the early Internet and progressing through the introduction of web-enabled smartphones and other devices. Use simple applications to create a web presence. Select from and evaluate various web development apps and tools most appropriate for their needs and interests. Design a modern generation app to use on a tablet or smartphone. Evaluate the training and education experiences and qualities required to secure a position with growth potential within the app industry. This is an introductory course in the development and history of new applications for use on web-enabled devices such as personal computers, ultra books, smartphones and tablets. While this course has no specific prerequisites, students should have a basic understanding of the World Wide Web, Internet, browsers, file formats, software and hardware applications. Students with a working knowledge of programming, IP addressing, differences between wide-area, local and cloud-computing networks, along with the current state of mobile devices will be well prepared to finish the course. What Are Internet Distributed Applications? Project: What Is Cloud Computing? Project: Are You Online or Offline?